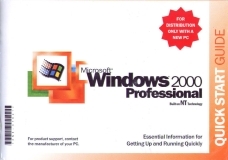 A range of Microsoft® Windows PC Computer Operating Systems including Windows 95, 98, Me (Millennium), NT4, 2000, XP Home, XP Pro (Professional), Vista, Media Centre Edition. OEM, Retail & Upgrades. Microsoft Windows Vista can cause conflicts with Microsoft Office 2000, games and is not compatible with older PDAs and handheld iPAQs using earlier Pocket PC and ActiveSync software. Updates and patches for download are available from Microsoft to enable older Office suites to run with Vista. If you're upgrading to Windows Vista be prepared to maximise your memory. Whilst 1GB RAM is the recommended minimum, 2GB of system memory will let you take full advantage of everything Vista has to offer. Microsoft generally recommends a minimum of 1GB of dual-channel memory to enable the Aero interface. Kingston suggests at least 2GB of memory to enhance system performance and provide memory performance headroom for future applications. You can use the drop down list to the left, browse this page or go to the list on the Order Form to place a secure web order. 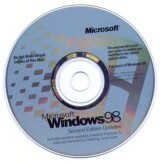 The Windows 95 operating system added major enhancements when compared to Windows 3.11. 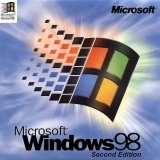 Use Windows 98 to help you get your work done, use the Internet and maintain your computer. Upgrade version. 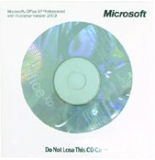 Use this CD to upgrade from Windows 98 to Windows 98 SE. Note that this product is an upgrade and needs a qualifying product to install. Windows second edition improves perfomance, system diagnostics graphics and sound. This type of disk is the sort of disk that can be supplied with a new PC. Windows second edition improves perfomance, system diagnostics graphics and sound. Note that this product is an upgrade and needs a qualifying product to install. Windows second edition improves perfomance, system diagnostics graphics and sound. 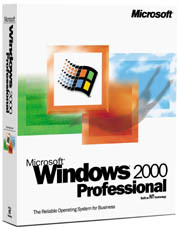 Windows 2000 Professional is the Windows operating system for business desktop and laptop systems. It is used to run software applications, connect to Internet and intranet sites, and access files, printers, and network resources. Windows XP Home Edition brings more dependability and simplicity to your computer so you can get started quickly, connect to the Internet, and do more of what you want. This type of disk is the sort of disk that can be supplied with a new PC. Windows XP Home Edition brings more dependability and simplicity to your computer so you can get started quickly, connect to the Internet, and do more of what you want. The new standard in reliability and performance, is designed for businesses of all sizes, and for individuals who demand the most from their computing experience. This type of disk is the sort of disk that can be supplied with a new PC. The new standard in reliability and performance, is designed for businesses of all sizes, and for individuals who demand the most from their computing experience. Please note that this product is an upgrade. 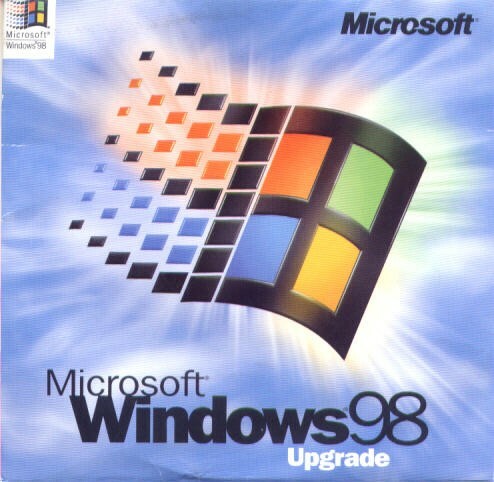 To be eligable for an upgrade you have to have one of the following products installed on your system: Windows 98/Windows 98 SE, Windows Me , Windows NT Workstation 4.0, Windows 2000 Professional, or Windows XP Home Edition. The new standard in reliability and performance, is designed for businesses of all sizes, and for individuals who demand the most from their computing experience.